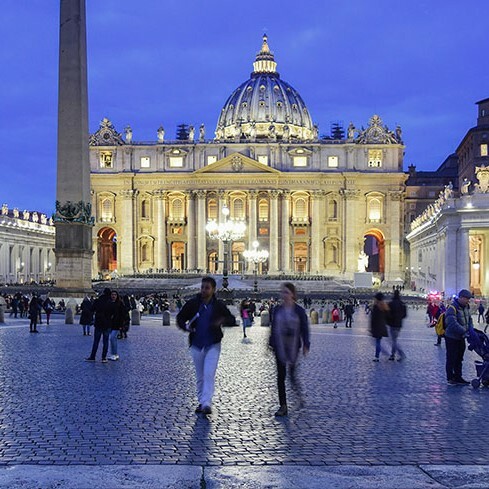 A chance to visit the Eternal City of Rome with visits to St Peters Basilica, St John Lateran, St Mary Major and of course an Audience with the Pope. Return flights Manchester or Luton - Rome. Excursions as per the itinerary. Local English speaking guide in Rome. £675 per person sharing a twin/triple room. £800 per perosn in a single room. The flight departs Manchester or Luton for Rome. After reclaiming your baggage upon arrival, a coach will transfer you to your hotel where accommodation has been arranged for 4 nights on bed & breakfast basis. This morning we will visit the Basilica's of St John Lateran & St Mary Major. 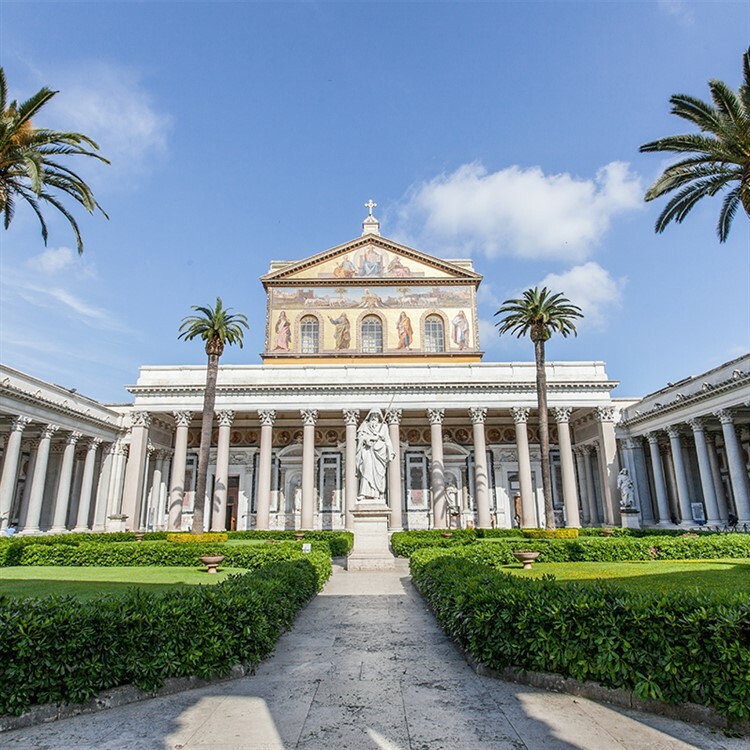 In the afternoon, we will visit one of the Catacombs before we travel to the Basilica of St Paul's outside the walls for a visit. The weekly Papal Audience will take place at 10.30am (subject to his Holiness being in residence) - tickets will be given by your courier. 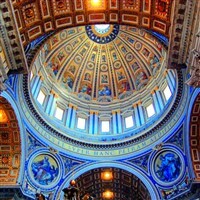 This afternoon you are free to visit the Vatican Museums and St Peter's Basilica. 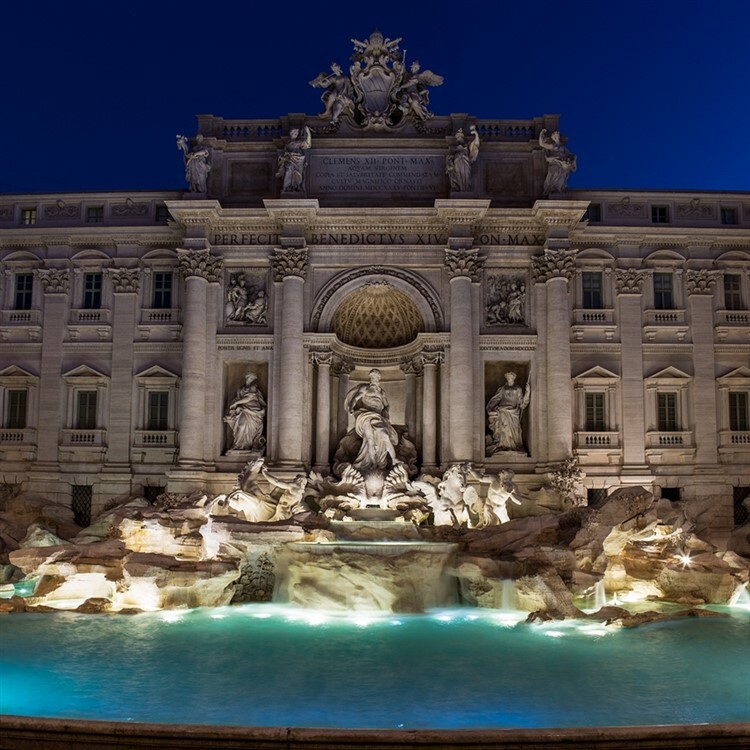 This morning we will visit the Colosseum, Spanish Steps, Trevi Fountain, Pantheon & Piazza Navona. There will be ample free time during the day for shopping & to enjoy a gelato (ice cream). The coach departs Rome after breakfast and transfers back to the airport for the return flight to England. The Grand Hotel Olympic was formally an ancient papal palace, which has recently been renovated. Today the hotel is a fine example of glamour, history and comfort wisely united by a 4-star hotel. A warm atmosphere characterizes the hotel and the management pays a lot of attention to the needs of its guests. The rooms are spacious and elegant offering air-conditioning, heating, minibar, hair-dryer and direct-dial telephone. Free Wi-Fi is available throughout the hotel including bedrooms. Its position is absolutely unique, the short distance to reach all the essential points of the city within a few minutes-walk, makes the Grand Hotel Olympic an ideal place either to spend your holidays or to organize business trips. The hotel has a bar, lift, breakfast and meeting-room.